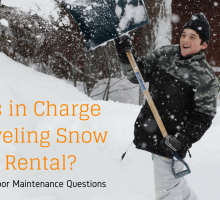 The time has come to rent out your home! And because you have listed it on Rentfaster.ca you have got inquiries from trustworthy renters faster than you expected! Congratulations! Now that you have an array of applications to sort through, you need to start considering staging your home for a rental showing. You want to make your rental appear as nice as possible so that the tenants you want will rent out want you! 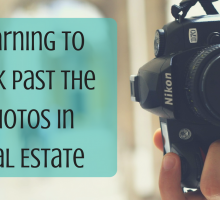 Not sure how to bring up the appeal-factor when showing off your rental? 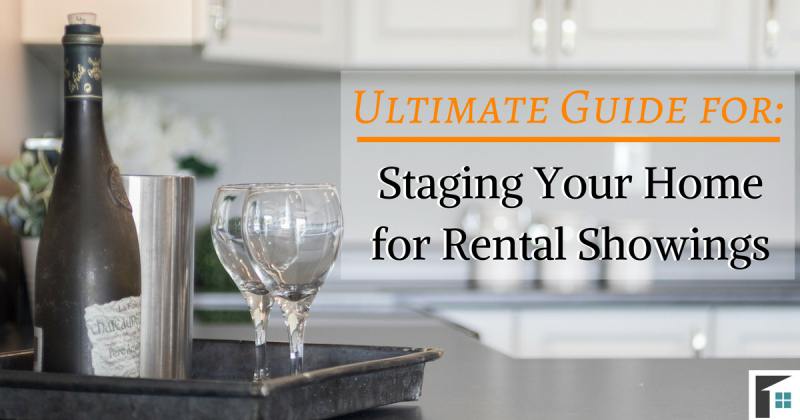 Here is your ultimate guide for staging your home for rental showings! 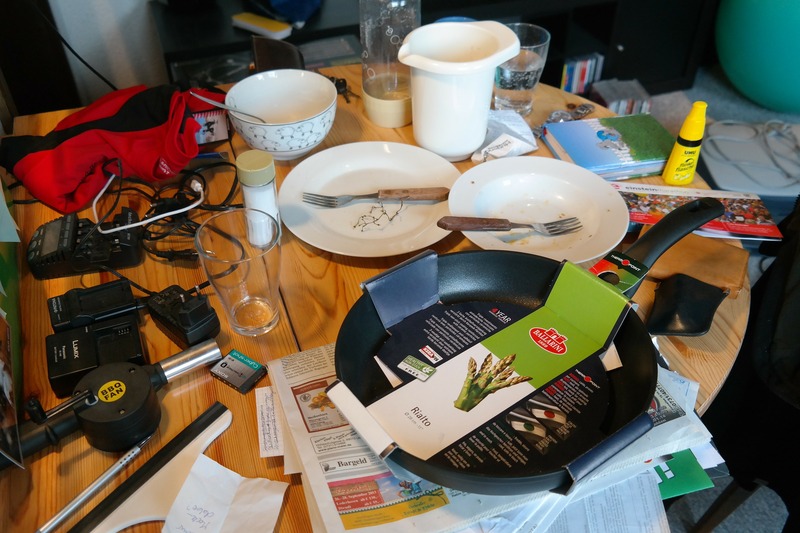 You would be surprised to find that many landlords forget to clean up their rental before a showing! The fact is that it is the easiest thing you can do for staging your home and making it look appealing. Tidy up the clutter, remove junk from those places where things seem to gather, and take a moment to straighten up your own items! Removing junk will help the home look less ‘lived-in’ and more attractive for prospective-tenants to call their own! 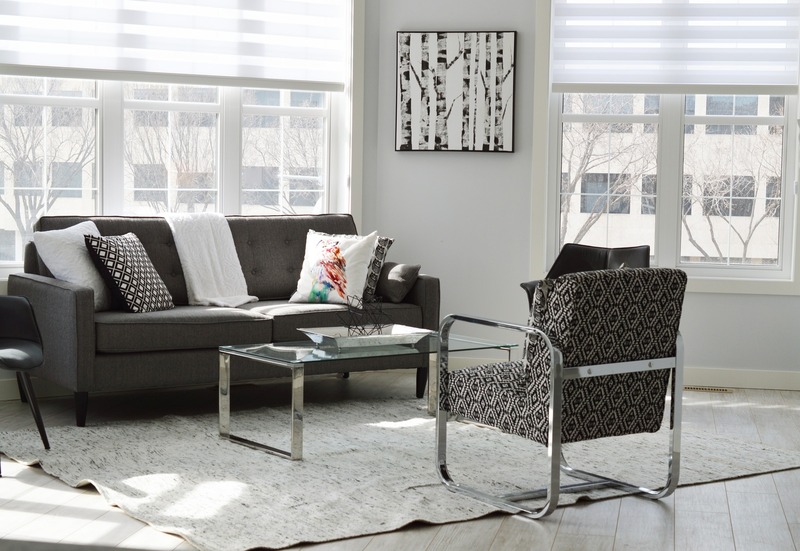 If you are willing to paint your home to improve the appearance for the rental showings, consider neutral colors that make the space feel bigger. Neutral colors are a safe option for staging your home, whereas bright or contrast colours may be too bold for some potential-tenants. Simple colours are more relatable and allow prospective tenants to see the potential in a room. Painting a room or wall is one of the least expensive things you can do to make your home look new and clean! Another simple and quick thing you can do when staging your home is to increase the amount of light. Many times, a room will appear dark and dreary, leaving the impression that it is not a ‘comfortable’ space to be in. You want every room to look well-lit and inviting! If you have the budget, consider purchasing brighter light fixtures that add flare, personality, and quality to a room. Remove older and out-of-style lighting and bring feature lighting to rooms that will see high traffic (such as dining rooms or the main entrance). When a home is not in use, dust and debris gathers. Take the time to give your home a good wipe down before a rental showing. Remove dust from those hard to reach places, wipe your windows to remove any smudges, and take time to clean the surfaces in the kitchen and bathrooms. Doing this will give your home a bright, sparkly, and clean appearance – a trait that every renter wants for their new home! When decorating, remember the rule of three! Three items in a grouping is aesthetically pleasing to our eyes! If you don’t have three items, then be sure to use odd numbers rather than even. This will create a sense of interest, and looks great in a home! Use this strategy when hanging 3 paintings (art can go a long way in a room), when putting 3 décor items on a mantelpiece, or clustering 3 unique vases as a feature. Depending upon what type of home you are renting out and what time of year it is, boost your curb appeal! This is the first impression people will have at a rental showing and it is best to wow them with a beautiful beginning. In the summer, plant fresh bright flowers near the front (whether in the garden or in planter pots). In the winter or fall, accentuate the season by adding wreaths to your door and adding nice porch lights. If you are renting out an apartment, you will not have the option to plant or decorate, so instead, place a seasonal and stylish wreath on your front door and add a welcome mat! A plain table is nice, but a decorated and set table is even better! 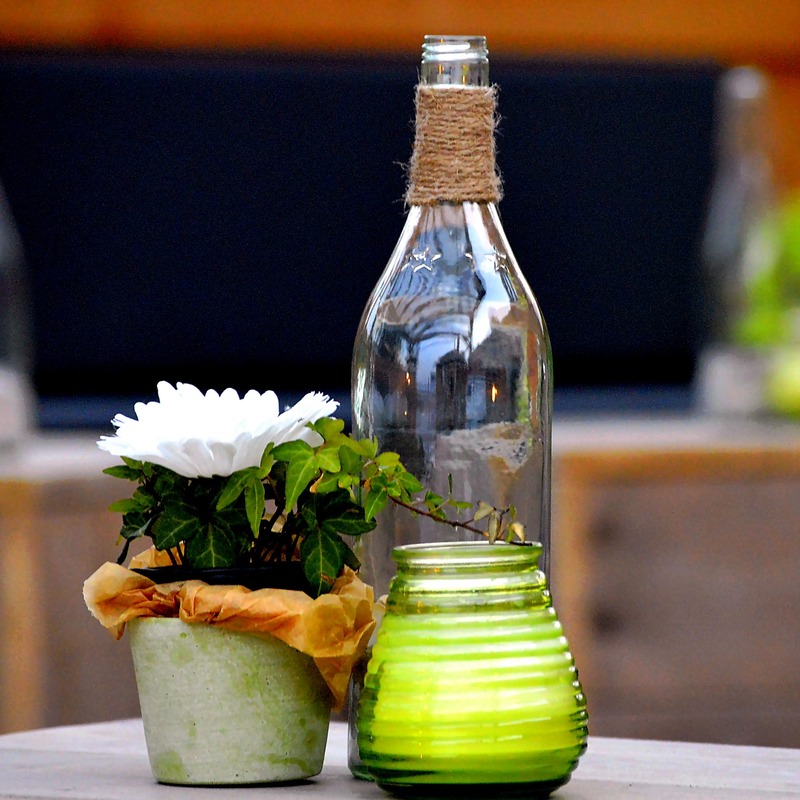 You can get creative and set out an array of dishes, flowers, and glasses when staging your home. This will show off the space as it would look at it’s best, and also clean and organized! 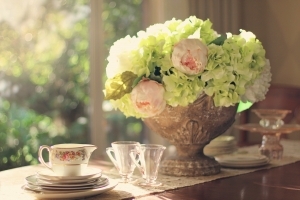 Fresh flowers on the table go a long way to brighten up a room and bring in that natural floral scent! Your prospective tenants may not be taking a close look at the flooring, but having your floors cleaned can go a long way! Wipe up any spots, remove any carpet stains, and vacuum the dirt and dust from the carpet. This will leave your floors sparkling just like the rest of the house! When the floors look clean, so does the rest! The goal is to make your home inviting! You may currently have your furniture set up so it is functional and suits your needs, but take the time to consider the aesthetic appeal. Do the couches face the window? 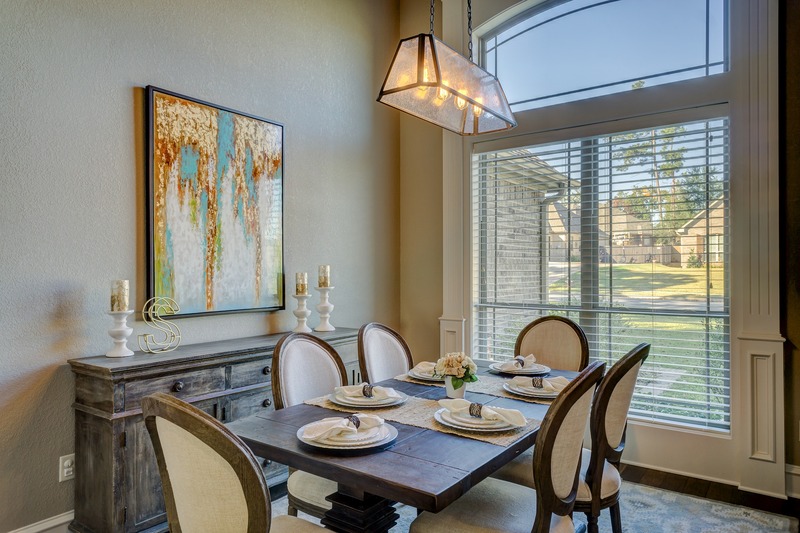 Are your chairs and tables symmetrical? Does your carpet cover the entire room? Move around your furniture to make it more appealing! Not sure what to do with the space? 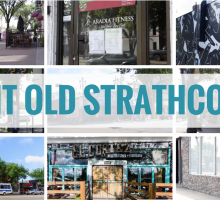 There are plenty of resources online that can give you images and ideas of what to do with a space just like yours. 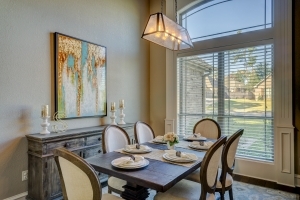 Pinterest and Houzz will definitely have some stunning suggestions! You have probably heard of the stereotype of baking cookies before a showing, well it actually works! When you involve another sense in the showing process, people are more likely to be intrigued and remember the home. If you aren’t the baker type, even a soft smelling candle (nothing too strong), will bring comfort to a home! Once you have taken the time to clean up your space, organize it, and put it in the best shape it’s ever been in – then you are ready for a rental showing! Staging your home is easy when you take the time to invest in finding that perfect tenant who will take care of your space!